"If the universe were made of chocolate, Barcelona would be at the very center of it (...) Barcelona has a deep rooted history in chocolate. 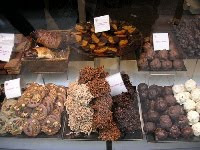 Strolling the streets around La Rambla and the Barri Gotic in particular, you are certain to wander by and experience Barcelona's love of chocolate". 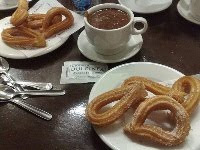 Dulcinea: Perhaps the best Chocolate and melindros (a catalan soft pastry) in all of Barcelona are found at Dulcinea (Petritxol street, 2). Established in 1930, this granja gains its namesale from Don Quixote's love, but gains its reputation for their lovely thick chocolate. Gelateria Xocolateria: Hidden in a corner of Plaça Sant Jaume, their speciality is Spanish chocolate con churros (you have to try it), although their ensaimada pastries are not to be missed either. Pasteleria Escriba: Chef Ferran Adrià favorite chocolate croissants may be found at this old-time pastry shop. Family owned since 1906, this charming shop truly deserves its place in Barcelona’s history. 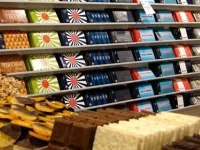 Museu de La Xocolata: Run by the Barcelona Confectionary Guild, Barcelona's Museum of Chocolate is the place to stimulate your mind, as well as your taste buds. 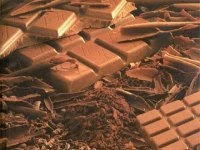 Learn the history of chocolate, admire the impressively detailed chocolate sculptures, and finally hit The Café for some traditional hot chocolate. 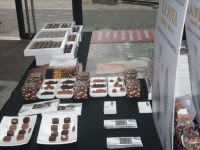 Xocoa: A modern take on chocolate, these sweet treats come with flash wrappers and unique unforgettable flavors. Their shop boasts a novel assortment, including chocolate beer, chocolate candles and chocolate incense in addition to traditional favorites. 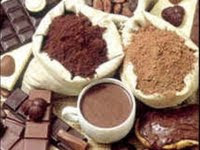 Cocoa Sampaka: a chocolate maker specializing in eccentric chocolate combinations (sunflower seeds and bitter chocolate, fried corn and dark chocolate) and classic bars. They also serve up a thick hot chocolate at their café. Granja M. Viader: The chocolate milk drink Cacaolat (a bottled sweet chocolate milk) was invented here in 1931 and is still offered. We recommend the hot chocolate but they also have great milkshakes.